“Hospice South Canterbury is once again indebted to the community with the cost of the project being met by the generosity of three organisations. The successful tenderer for the project was Infratec, a subsidiary of Alpine Energy. The time associated with design and procurement was an in-kind contribution from Infratec. 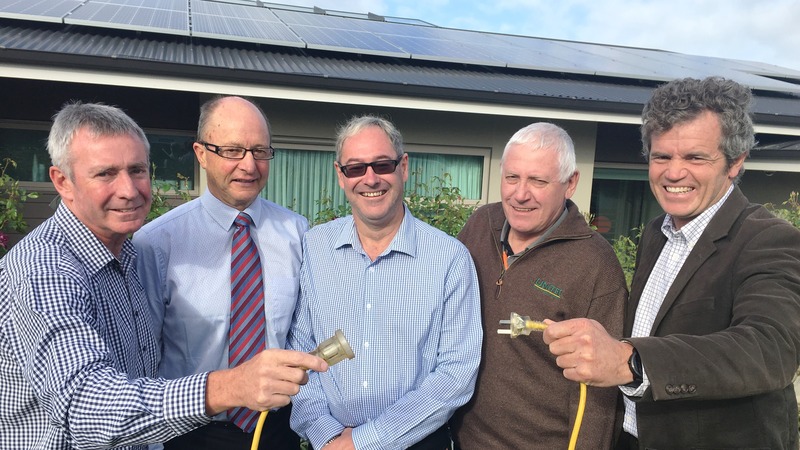 General Manager of Operations George Ritchie said Infratec is pleased to have participated in a fantastic community project and what is the largest solar PV system on the Alpine Energy network. The solar panel grant continues St Vianneys support of Hospice, with $500,000 contributed when the seven-bed unit was built in 2009. The trust has also recently contributed $17,000 to buy speciality electric reclining chairs for patients.